What is the meaning of GSD? HomeWhat is the meaning of GSD? GSD stands for German shepherd dog, medium to large build guard dogs first originated in Germany. They are known for their intelligence, strength, agility, and obedience. They are mostly trained to be sheepherders, but they also work as service dogs. They exude confidence and make excellent military, search, and rescue and police dogs. He is a very intelligent dog and he loves to perform an action such as he always wants to live with an active person. A German shepherd is very active and attentive that’s why he loves to play with children, owner, and other family pets. One of the most important characteristics you can find in German shepherd that he will never get nervous or shy. He is always bold and active. German shepherd dog is ideally a confident and fearless breed of dogs. He is very familiar with the family members, friends, and other pet animals. He has a natural characteristic and this is his protective nature. He is very alert and protective towards his family and owner and always barks on the strange person. He does not want any stranger to enter his house and he is ready to protect his family from any problem. 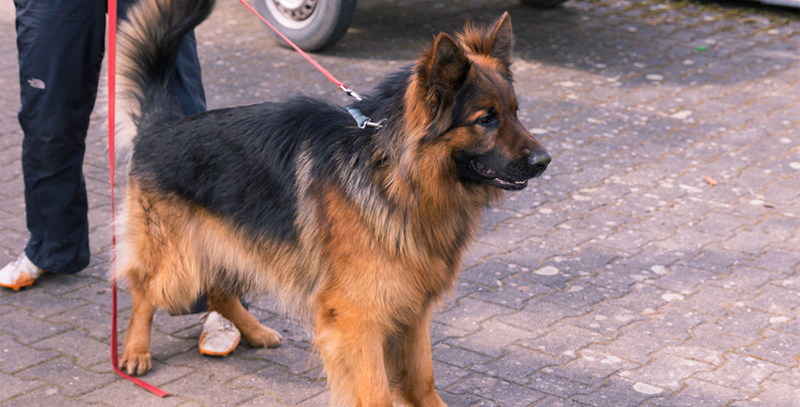 And these characteristics make German shepherd a good family companion and a great guard dog. The height and the weight of male German shepherd are usually lying between 24 to 26 inches and 75 to 90 pounds. And for the females, the height is from 22 to 24 inches and weight is 50 to 70 pounds. German shepherd dogs are of different colors such as black and cream, black and tan, black and silver or completely black with saddle pattern on their back. They are also available in gray, silver, blue and white colors. A German shepherd dog is a fun loving pet animal so, if you are planning on getting a dog then German shepherd dog is the right choice for you.